This GTX 1060-powered display is lightning fast and butter-smooth. 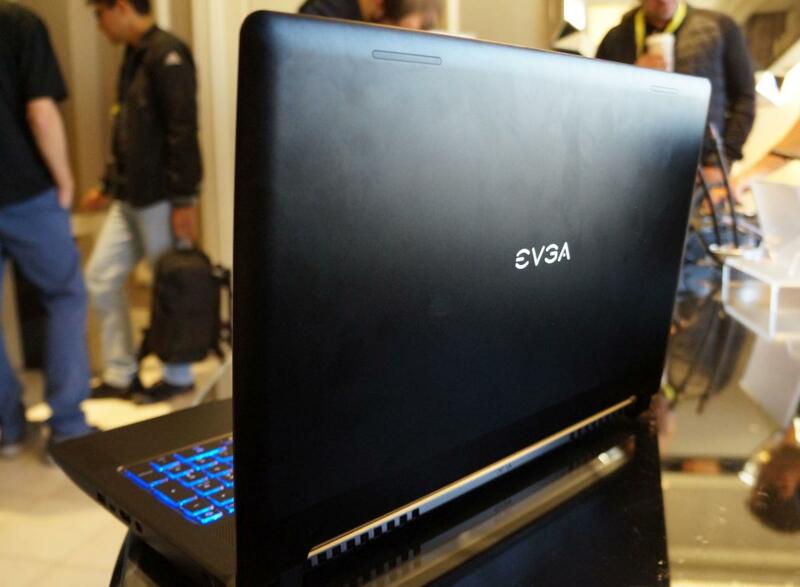 EVGA shocked the world when it revealed the no-compromises SC-17 gaming laptop—the company’s first-ever notebook—at last year’s CES. This year, EVGA’s following it up with the SC-15, a slightly smaller gaming laptop that learned some lessons from its larger sibling. In fact, the 15-inch (hence the name) SC-15 largely resembles the 17-inch SC-17 at first glance, sporting the same sleek industrial design, the same flat power brick, and the same easy-open lid that can be lifted with a single finger. The biggest differences are under the hood. While the SC-17 packs a 4K display powered by an Nvidia GeForce GTX 980M, the SC-15 packs a mobile GTX 1060 chip—which should actually deliver gaming performance roughly in the same ballpark as the GTX 980M. The display’s been swapped out for a gorgeous 1080p G-Sync panel running at a smooth 120Hz. EVGA product manager Jacob Freeman says customers were asking for a 1080p display to help improve battery life, and the reduction in sheer pixels allowed EVGA to double the refresh rate of the screen. That sort of speed matters when it comes to gaming. The GTX 1060 can handle virtual reality workloads, too, making it an interesting option for a portable VR station. EVGA had an SC-15 set up with an HTC Vive connected and a VR rollercoaster game playing for people to try. The SC-15’s internals are rounded out by an Intel “Kaby Lake” Core i7-7700HQ processor, 16GB of DDR4 RAM (at least in the laptop I touched), and a 256GB SSD paired with a 1TB hard drive. You can overclock the GTX 1060 GPU in EVGA’s laptop, but not the CPU, because Intel restricts overclocking to only the tippity-top Core i7-7820HK processor. One final new addition to the SC-15: an RGB-backlit keyboard, because this is the year of RGBing all the things at CES. (I joke, but I love RGB keyboards.) Unfortunately we have no idea when you’ll be able to get your fingers on it, as EVGA didn’t mention release details. I’ve reached out for more clarity on that and will update this post if I get concrete information back in return. 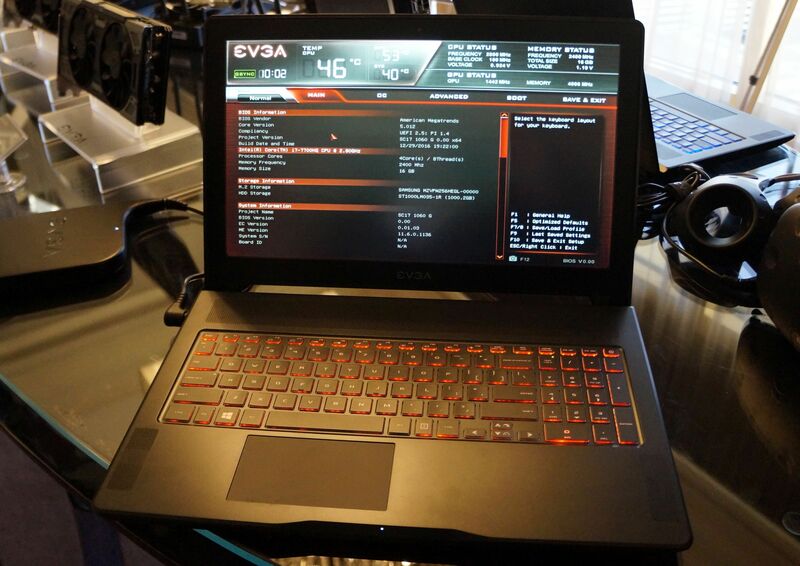 UPDATE: Freeman says EVGA isn't talking price yet, but expect the SC-15 gaming laptop to launch in June.